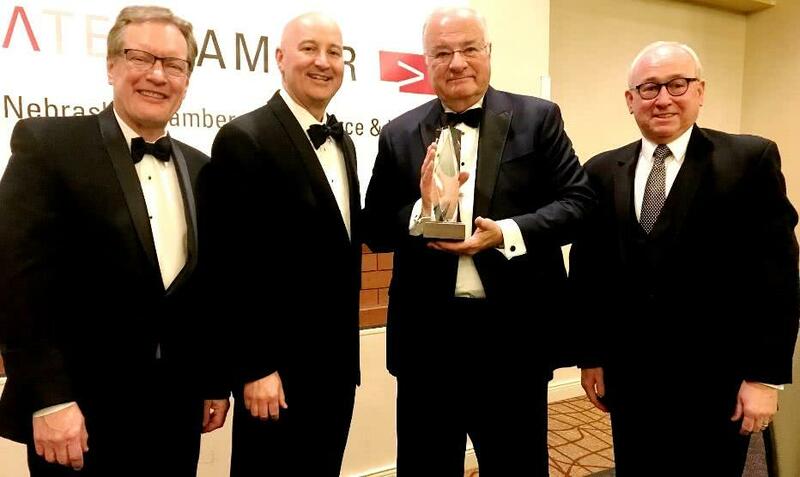 Last week, I was honored to be admitted into The Nebraska Business Hall of Fame, an award established by The Nebraska Chamber of Commerce & Industry to recognize Nebraska business leaders who have meaningfully contributed to Nebraska’s economy and business environment. I was delighted to have my wife, my sons Peter and Todd, my Grandson Roscoe, and some of the folks who helped me to build Ameritrade join me for this special evening. It was also fun hearing the stories of the other inductees. But most of all, I enjoyed hearing from the young people to whom the Chamber of Commerce awarded scholarships. The enthusiasm and entrepreneurial spirit of these young men and women were inspiring. It’s not easy addressing a room filled with 500+ business leaders and the State’s Governor, but these budding entrepreneurs did so with a poise that filled me with optimism for the future.